First off - this thread is NOT for discussing the rights, wrongs or anything else of the personnel moves and so on. There's plenty of that in the discussion thread on the front page - if you have a point to make on that subject, take it there!! It looks like we'll soon have three (well, two and a bit, as BC will be quarterly) magazines devoted to our hobby, and I'm wondering what people would like to see from them? Back in the heydey of videogaming (I'm thinking SNES v MegaDrive, Spectrum, BBC & Commodore 64 etc) we had shelves full of magazines, many of which had identical content. Then again, I was also a bit of a hi-fi buff, and you could buy two or three different magazines that had a totally different slant to each other and no overlap in articles at all. So we'll have two monthlies. I think it's safe to say that they'll both be doing set reviews, which, given their preponderance on the web, is the one thing I could probably live without. I've liked the building technique articles and the show reports. The showcase features are very much dependent on the subject matter, but are usually more hit than miss. 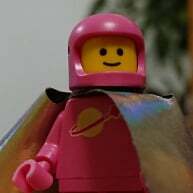 I'd like to see more articles about individuals, how they got into LEGO and why they do what they do (although they'd have to be significantly better than, for example, the Cavegod interview which was the same questions repeated three times for three models). Broadly speaking, things that are less news related. I'd like to be able to look at a magazine a year or so later and still find something useful - news dates very fast and is better left to the digital domain. ...but I understand that for many people that's a big part of the hobby, and anyway, it wouldn't do if we were all the same. So - would you want two magazines, both doing the same thing, but trying to do it better than the other, or would you prefer them to 'carve up' the hobby and both concentrate on different aspects? The prospect of another magazine hitting the market was precisely why I didn't take out a subscription to Blocks. That's not meant as anything against them, but I've always preferred the approach of pay when I want it and save the money by not getting it when I don't. Two magazines will be a lot, I think I'm going to give both a try for a while (still ultimately only buying them when I actually want them) but the Bricks perspective of potentially having TLG on side for interviews etc could be the big draw. I think one of the best articles from blocks was on the background of the exosuit - having several people involved in the campaign giving insight into the process was a lot more interesting than a standard review. I had almost no interest in blocks, and probably won't in bricks. I like news articles but the internet works much better for that and i'm really not fussed about reviews (I don't really need someone to tell me if a set is good or not and can't think of one instance where reading one has changed my mind about buying a set - a couple of photos is almost always enough. From recent reviews it seems they're slghtly less disearning than i would like and are overly concerned about stickers. )Take all the reviews out and there seems to be very little left in the magazine. The quartely brick culture sounds more promising. If it doesn't get swamped with even more out of date reviews and repackaged brick articles. If it focuses more in the art of Lego creations, the inspiration and design process then I'll be all over it. The word culture in the title worries me a little though. I had no interest in Blocks either. I picked up the first issue and flicked through it, couldn't really see anything new or of interest to me, and put it down. I don't think I'll have any interest in Bricks, either. I cannot see them coming up with anything novel that would make me pay that much for a glossy magazine. I'm not sure I'd look at Brick Culture either. It sounds like a printed version of Flickr. No doubt people will buy them, so they can read them on the train or whatever. But I know I'd prefer to spend that money on lego rather than reading about lego, which I can do for free online. I bought the first edition of Blocks and I thought it was a bit rubbish really. The poor editing and proofreading got on my nerves, and the writing was pretty mundane and was just too blokey for a magazine about toys. It will be interesting to see if the new magazines suffer from the same problems. It will also be interesting to see if the market can support two monthly magazines plus a quarterly (I suspect not). Also, given that Mark Guest has said that Bricks has a certain amount of official support from Lego, it will be interesting to see if they are brave enough to print bad reviews or negative comments about the company (and how long that official support lasts if they do). I spend enough time reading articles everyday on the web related to Lego news and rumors. What would a magazine have new to offer that isn't already mentioned weeks earlier online. Unless the magazine come with an exclusive Minifigure or polybag i am not interested. I remember in the days before the Internet and when baseball cards were the big thing, I would buy copies of Beckett and other price guides. If Lego was popular then as it is now, I would probably have bought or subscribed to Bricks or Blocks. I am happy with receiving my Lego catalog every other month or occasionally checking out my sons Lego Club magazine, but that is the extent of looking at Lego periodicals for me. I'm pretty much the same, for me there is no need for it. However, presumably there is a market for it. They already tested the water with Blocks, and it must have had reasonable interest - enough to pursue it again after whatever happened with the fallout. No doubt some people do like to have a printed version of news and views, even if they are out of date compared to the internet. Plus some people don't use the internet so much. The other problem for me is that it is very Brickset heavy. Most already named people writing for it seem to be Brickset staff / reviewers. So either they will be repeating what they write here, or creating new stuff for the magazine and not saying it here. In the first case, I'll read it here and there isno need for the magazine for me. In the second case, then lack of content here will make me read information elsewhere online and probably follow their links when purchasing. I wish them luck, I hope at least one of them survives. I somehow doubt it will be Blocks. I'd be remiss if I didnt point out that Joe Meno's Brick Journal is the Grand Daddy of the Lego Magazine. Not sure when issue #1 was published but issue #33 is hitting the news stands soon. He does a very nice job on the content and I have always enjoyed the excellent "You Can Build it" feature with plans for a model related to the theme of the issue. At a cover price of $8.95, it's a real bargin compared to $17.95 for Blocks (at B&N). I liked BrickJournal, but since the UK Lego Brand Stores stopped stocking it, it's become difficult (and expensive) to find it over here, which is a shame. ^^^ On the contrary, I think Blocks has a greater chance of survival at this point, primarily as it's available in stores. Anyone passing it in WHSmiths/Tesco etc is a potential extra customer; Bricks is relying on people going out of their way to order it online. Anyway, as @EvilTwin noted, the writing in early issues was rather mundane - hopefully the new editorial team will be able to make it a more entertaining read in future (another potential advantage over Bricks, albeit a wholly subjective one). I guess time will tell, whether the market takes a fan-site / fan-base pushed magazine with quite well known writers (to the fan base, with the problem that they already read their words in another form) or a pick-up off the shelf type magazine with wider circulation and possibly less internet engaged readers. I remember looking in WHS with Blocks first came out, and I think they had two copies (and it was a fairly large WHS). They might have had loads and sold them or had loads out the back and slowly add them to the shelf as they are sold. But if they did have just two copies, it doesn't seem that viable, even if repeated in every town and city branch. I wonder what the minimum they can regularly sell is, and still be viable. It would also be interesting if they did get Bricks into stores. I wouldn't be surprised if there was confusion between the two similar named magazines. Our local WH Smith started off with about 2 copies for issue 1. I had a look when the latest issue came out and it was more like 8 or 9, so I think they've bumped up the number that they take. I'd be remiss if I didnt point out that Joe Meno's Brick Journal ... At a cover price of $8.95, it's a real bargin compared to $17.95 for Blocks (at B&N). There is also the fact that Brick Journal offers a digital subscription AT A LOWER PRICE than the printed hard copy. I was amazed when I checked out Bricks/Bricks Culture that the digital subscription is the SAME PRICE as print! Not sure I am willing to subsidize the print edition. I might be because they have a big full page ad for pley.com. Joe told me that was the reason that the magazine is not longer available at the Lego store in Raleigh, NC. - wire a 9 volt layout. - survive exhibiting at a Lego show. - use software to design a Mosaic for any given size. 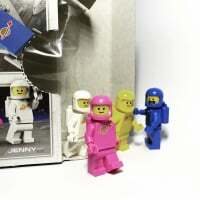 - post pictures on Brickset. - In depth look at MOC's with pictures and construction tips. I agree with ecmo47...while you can get much info on the internet these days, it's often in bits and pieces. And the info you do get is often "superficial". I wouldn't mind paying for longer, more detailed articles. And recently, I've reverted back to print books/magazines, especially with regards to LEGO because I like to ooohh and aaahhh at the bright colours and glossy pages. And I like to refer to them over and over again. Only reason I haven't subscribed to any magazine yet is because of the shipping costs (ok, and the weakness of the Canadian dollar). I am neither in the UK (for Blocks or Bricks) nor in the US (for Brick Journal). A "rest of the world" subscription to Blocks costs almost double a UK subscription. It wasn't so long ago that some magazine companies were trying to go in the direction of less long, detailed copy in press to reduce print costs (and postage costs). Putting that type of information online (behind a paywall if necessary) so reader can access it if they want it, along with videos and so on. I guess some companies still rely on thicker magazines looking better value than thin ones. PS. Internet articles can normally be read over and over again. Yep, I would love that - does anyone know of any good tutorials online? There were some excellent ones for water and vegetation. I have a desire to build a space mountain. I just saw that Blocks is also getting into Morrisons now too, which is clearly a step forward, and have taken on three new staff. Although taking on brickfanatics staff, I'm not sure it's good or bad. I hope they are better behaved in print than in their official ambassador role. There are now 148 comments on the article on the main Brickset site, and it is becoming unmanageable. There are many valid comments there, and a lot of important information for anyone considering subscribing to the new magazines. That needs to be brought into the forum so that everyone can be kept up to date with developments. I am therefore reposting message 146 from myself, and I hope in due course someone from the Bricks staff will update us. Also, it states for each print-based item "postage and packaging costs will apply", but it is nowhere stated what these are. How can we do any order when we have no idea what is going to be added on to the order for postage? Finally, it was suggested above that there may be a discount or deal for current Blocks subscribers (which I am). A subscriber ID would be needed, it seems, but I don't have one on my original Blocks order (I've just checked). The subscriber id is probably on the mailer that each magazine comes in, which have long since been confined to my bin. So, the only way I can report my subscriber ID and get a possible discount is to wait until Blocks issue 7 arrives. This will arrive mid April, AFTER the first issue of Bricks comes out. How would they (Bricks) know subscriber IDs for Blocks were genuine? They shouldn't have access to the subscriber database. I guess you can send in photos of the cover / address sheet, but that would mean waiting for the next issue. I suppose I could send an email with a copy of the PayPal receipt I was emailed after ordering Blocks. There is no information on what to do from Bricks, and no recent Web site updates on any of this. It all points to a very hurried release (which we are already aware of) and pricing / postage structures that have not been fully thought through. At present, I am not prepared to order (and I want to give both the new magazines a chance) until I am categorically sure of the cost, including any possible Blocks subscriber discount and full confirmation of postage. By the way, googling "Bricks magazine" comes up with this fashion magazine called "Bricks"! My favorite type of article in LEGO fan magazines (and official magazines, for that matter) is any kind of behind-the-scenes interview with actual LEGO employees. Articles about fellow LEGO fans are also cool, but not quite as interesting for me since most of the time, fans are already in dialogue with the fan community online, so there's not that same sense of exclusivity as there is with a LEGO employee interview. Behind-the-scenes images like concept sketches and photos of prototype sets make these kinds of interviews even cooler! The issues of Brickjournal I own are ones I specifically selected because they contain interviews like this focusing specifically on themes I have collected (Atlantis, Space Police III, and The LEGO Movie). But a lot of the themes that interest me most, especially "story themes" like Elves, Ninjago, and BIONICLE, are rarely covered by fan magazines, so I've never felt compelled to get a subscription (whether physical or digital). I was very happy to do my part and put a spotlight on the BIONICLE reboot in the article I wrote for Blocks issue 4, but I don't think there will be any shift towards greater focus on "story themes" anytime soon, even with two new magazines coming out. 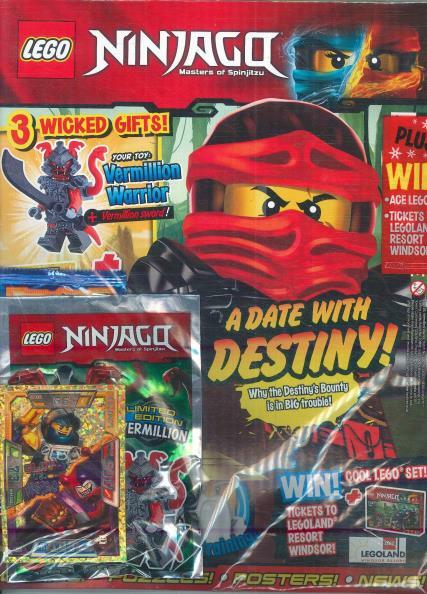 ^ Does the US get the Ninjago magazine? It's aimed firmly at kids, but the fact that it exists might put (UK) publishers off including a lot of Ninjago information in a fan mag. ^I don't think they do, seem to remember this being discussed on the Chima one too. the issues with the Bricks Store shopping cart are not yet resolved, but the developers were sounding confident late this afternoon of what the problem is and so we’re all hoping this latest fix will be the answer. Of course I will advise here as soon as I can. We hope to be able to advise on the shipping costs at the same time and everyone who has already purchased printed copies will be contacted personally by email about it. In the meantime the customer services team are replying to people’s general email enquiries but we have a lot to get through! so pls bear with us, Ella or someone from her team will get back to you. Also, some of you asked us to create a special offer for Blocks subscribers which we confirmed we would be happy to do; but thinking it through… we don't want to exclude anyone from a deal. So once we nail the details, this offer will to apply to all early adopters including of those of course who have already purchased. We will announce details in due course. Thanks for your patience and interest so far. Obviously no one is keener for this all to be resolved than us, so we can start telling you more about what will be in Bricks & Bricks Culture magazines come April 13th! I have to admit I very much want to hear both sides of the story about why Blocks' original founder (and, as a result, so many others on its staff) left the magazine. If there was a difference of opinion about the direction in which Blocks should go (implying that Blocks and Bricks will be trying to go in different directions), that is exactly the sort of information I want to have as I try to decide whether to subscribe to one or the other (or even both). I can't speak for Mark and certainly not Blocks' owners, @sklamb , but I would doubt that little if any detail of the story would be made public. But in terms of a vision for what Bricks & Bricks Culture are to offer, we will absolutely be talking about that! We will do our best to encapsulate things, but at the end of the day everyone will have individual impressions of the content offered by all the magazines and will want different things from them so there's only so much that the publishers can tell you. I imagine the best way to decide which one to subscribe to is to buy a few copies of each, and decide which one is going in the direction you like. Also, as said by many on the Brickset article, the website is very hit and miss to use and in these days of high tech IT, should be quick and simple to update and make work? I am not impressed so far with the communication about early subscribers like me. I think both these magazines will be good and hopefully having nearly the entire team from Blocks moved across, lets hope so. However, I have to say that I feel the communication and service from the Blocks team was much better and almost instant when I e-mailed them last year about bits and pieces. Maybe someone can write here how much P&P will be, or at least give an accurate update of when we will find out? ^ it won't be in WH Smith though will it? And just a minor thing but isn't it ilegal in the UK to not disclose postage costs up front? Good point and I think you are right. I have no legal training, but I am a confused consumer / subscriber, so I have just looked up on the Which? website for the regulations. Rather than put it here, as my intention is not to try to publicly embarass or argue the point as I want this venture to be a success, I have e-mailed the Bricks team privately (assuming they read their e-mails?). Just received an e-mail from Blocks magazine which disputes this whole 'change of direction' story. Given what I'm reading about the problems with the website, lack of postage costs and just my feel on the whole saga I think I'll be sticking with Blocks and hope that is the magazine that survives in the long run. The countdown on the Bricks website is now stuck at 17 days, despite it being a stated release date of 13th April, i.e. 13 days to go. I managed to get an item to stay in my basket today, but there is still no information about postage costs, so I gave up. It strikes me that the release of Bricks and Bricks Culture has been rushed through before important matters have been thoroughly thought out (like a working e-commerce site and full details of postage costs, and discounts for Blocks subscribers). Cart bugs now fixed, but indeed shipping is yet to be added; as mentioned earlier we will announce when we have a bunch of fixes for you instead of drip feeding. It isn't, if for whatever reason the costs are not easily calculable in advance, and the company informs the buyer that postage costs must be paid. Although it says P&P costs will apply on the product page, it doesn't say this when in the cart. It is also very odd, given that almost all other subscription by mail magazines are advertised with postage included. I haven't got as far as registering so don't know if there is another warning about extra costs payable. I imagine there will be some rather annoyed subscribers finding out they have to pay even more to get them delivered when the costs were not displayed up front. However, since the costs of mailing a magazine should have been easily calculable by a publisher before making the subscription contract, they could well be in breach of the Consumer Contracts Regulations for not disclosing the actual postage cost. I guess we'll never know unless someone complains. It is, all additional inc postage costs must be clearly displayed and not just for the UK. That's not the only regulation they're sitting the wrong side of either. I've pm'd caperberry and as I suggested to him i'd disable the cart until many of the issues (they're basic for an online retailer) are fixed. If I was a judge, I'd say that those costs were easy to calculate in advance for posting a magazine, so should have been stated. However, I am not a judge. But there are clearly some cases when the costs cannot be easily calculated in advance, and that extra piece has been included in the regulations. It is, all additional inc postage costs must be clearly displayed and not just for the UK. It's a magazine, and I very much doubt that the number of pages will change/get heavier every issue, and this is a fairly basic issue that surely should have been sorted before any announcement was made about the product? What you do is go to any post office with an example of a similar magazine (although I would hope that with 13 days to go, they would have at least one Bricks copy available!) and ask them could you tell me how much this would cost to post to the UK/Europe/US/Rest of world? Then they tell you and you go away and work out how much you need to charge. It's not rocket science. Say what you want about Blocks, they got these issues clear from the start. You get the feeling Bricks is going to end up being sent out with zero postage charge to alot of customers. All they need is one upset person to kick off and being available only online it won't be long before its outcome is well known. Nine days until supposed launch, and 2 weeks since the press release, and we still don't have an answer on the postage question, nor any indication of the promised special subscription deal for Blocks subscribers (whether or not it ends up being opened up to non-Blocks subscribers as well)? I have tried to remain patient and supportive, and am truly interested in checking out both new magazines, but this apparent lack of forethought is not filling me with confidence that I would want to take another punt on the ex-Blocks crew by signing up for an annual subscription to their new venture. Sadly, at this stage, I can't even muster up the good faith to place my order for a single issue (assuming the cart/payment bugs have been resolved), when I don't know what extra charges I'm going to be slapped with if/when the postage costs are ever decided upon. Rightly or wrongly, all I have to go on is my experience from my Blocks subscription, which charges a considerably higher rate for international subscriptions, so I don't think it's unreasonable to want the opportunity to make an informed decision based on the final cost of Bricks/Bricks Culture, including P&P, which frankly, shouldn't still be a mystery this close to launch date. I wonder if @theLEGOman might be onto something when suggesting that those who have already subscribed will end up having their postage charges waived, if for no other reason than to minimise disgruntled customer complaints and cancelled subscriptions, never mind any legal ramifications. But in turn, those of us who have not yet made our purchases while waiting for these issues to be fixed, shouldn't be expected to wear postage charges if others are not. If this postage issue isn't resolved until after the launch, will anyone holding out for clarity on the situation still be considered an 'early adopter' and be entitled to take advantage of the promised special offer? Looking forward to an informative response from the Bricks team. Well summed up but I doubt we will get a quick or informative response. I subscribed to both magazines on 23th March, then e-mailed the Bricks team (outside of the fourm) on 25th, 26th and 30th March and I have received nothing yet. When you search for the company on the internet, it appears to have been only formed one month ago, so I think they must have been a little premature on the big hype? If they had got the basics right before making big announcements, we wouldn't be in this unsure postion now and the potential future customer base would be slightly more confident than they are now. I have just checked the wesbite and it still says 13 days to go? @caperberry "Thanks for your patience and interest so far. Obviously no one is keener for this all to be resolved than us, so we can start telling you more about what will be in Bricks & Bricks Culture magazines come April 13th!" 11 days later, we are able to order, but no information at all as to postage charges, Blocks subscriber or Early Bird offers, and actually, even more importantly, no information as to what will be in the first issues of these magazines. There are 9 days to go until the stated launch date of 14th April (13 days if you look at the website that has had no alterations or new info in the last 4 days), which is too short a time to get updated info out to people and give them time to make a decision (unless you only expect a handful of orders for the first issue). I wonder if anything will happen over this weekend due to the UK Bank Holiday that includes Monday. I would respectfully suggest that the Bricks/Bricks Culture launch is postponed one month, and a proper launch set for, say, one month later, when full info can be given to prospective punters. I was contemplating subscribing to both of these magazines, by the way, but could not do so with what information we have available currently. I don't know anything about the website and postage issues but I do know that Mark and @Caperberry have been extremely busy putting together two magazines to very tight timescales, which were enforced on them for reasons that will become apparent in the fullness to time. However, I do know that both titles have gone to print and will be launched this coming Thursday. I have seen the PDF copy of Bricks and it looks fantastic. Hi everyone, again I thank you for the keen interest and kind patience you're showing, and acknowledge it is being tested. We are listening to your comments including the concerns around having time to make decisions about whether to buy - we do have a plan to assist this but do not intend to delay the launch date. Part of the reason we still haven't come back is that we wanted to address everything in one go rather than giving you piecemeal solutions. We've made the decisions, but the website still isn't ready. But I appreciate we can't leave you hanging any longer, so we will have to split it into two announcements after all. We will announce decisions today but the website is still being worked on (including over this holiday weekend). Stay tuned.